Though 83 year-old acting legend Robert Duvall has no plans to ever retire, he doesn’t have as many high-profile roles as he had during his peak in the 1970s. 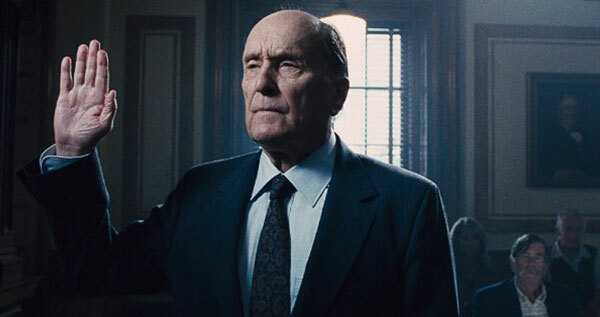 So when Duvall stars in a studio film like The Judge alongside current star Robert Downey Jr., it is yet another big accomplishment in Duvall’s lengthy career. In the film Duvall plays an elderly judge who is accused of murdering his wife and he is defended in court by his son, played by Downey. However, he spoke to The New York Times about why he initially turned down the role, what he drew from when he later accepted it, and how he likes to work with his directors.